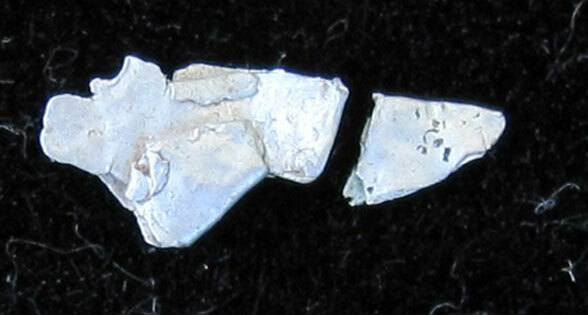 Over the past few years, geologist Frank Kimbler has discovered approximately twenty metal fragments near the location of the alleged 1947 Roswell UFO crash. His experience in the area, and his success at finding objects there, led to his recent appearance on the National Geographic (NatGeo) channel’s show Chasing UFOs. 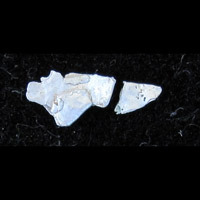 [W]hen subjected to an initial test, the magnesium isotopes found in one of Kimbler’s metal fragments appeared to indicate a non-terrestrial isotopic fingerprint. However, without further testing, such results could also have been the result of natural and statistical variability in the laboratory analytical process. So, while ultimately not conclusive of an extraterrestrial “find” without further analysis, communicating the idea of elemental isotopes and their role in helping scientists currently determine geological material of extraterrestrial origin makes this segment an important one! And Kimbler, who teaches Geology and Earth Science at the New Mexico Military Institute, agrees with McGee. He knows that good science requires additional testing before any conclusions are drawn. National Geographic didn’t want to follow chain-of-custody protocols for it. They said they couldn’t afford to fly me out to have the analysis done. I didn’t want to give them a piece of the material to have it sit in their office for days on end, or even weeks or months . . . They said the lab said that they needed a month to do the testing, and I know that’s not true. It would take them maybe a day to calibrate it, and a day to run the test. It doesn’t take a month to do that. Kimbler is hopeful that another show will come forward to make the testing happen, and to give the metals the attention he feels they deserve.